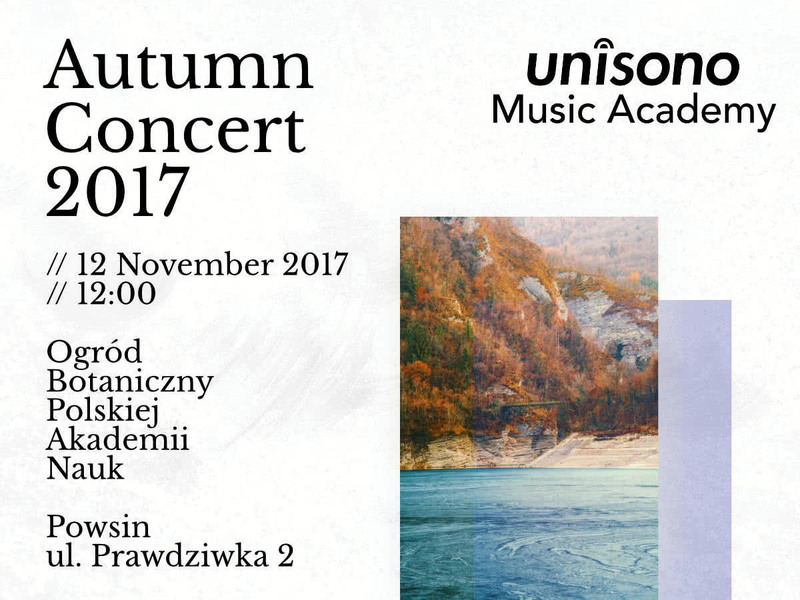 We kindly invite to this year Autumn concert. It is scheduled on Sunday 12 November 2017 at 12:00. The address is ul. Prawdziwka 2, Powin city. Fangorówka mansion.